Get your copy of this free eBook to learn how recruiting firms just like yours are hiring faster with video interviews. Video interviewing’s presence in the recruiting process has grown in recent years. Solo recruiters and large staffing firms alike use it to improve their client and candidate experiences and differentiate from other staffing organizations. 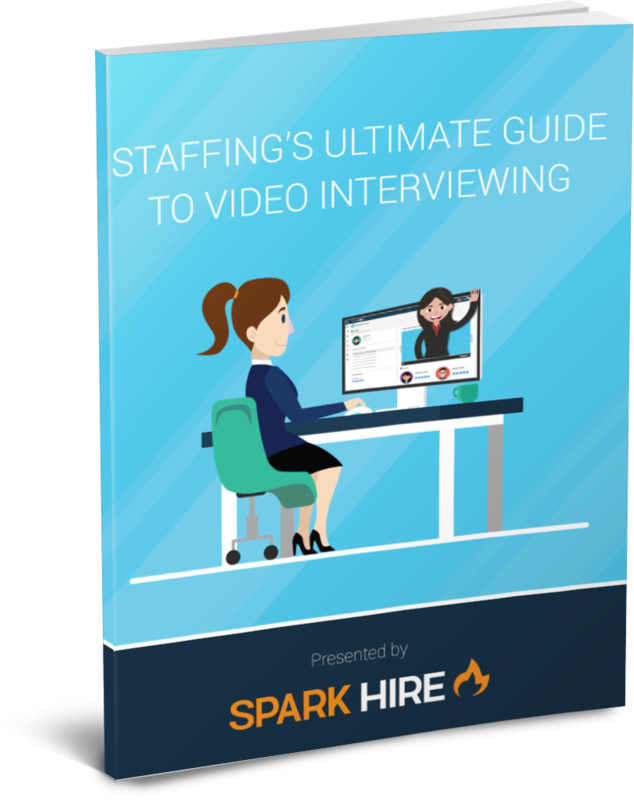 Download the free eBook, Staffing's Ultimate Guide to Video Interviewing, and discover how today's progressive staffing firms are leveraging this powerful recruitment tool for better business. Learn the challenges, process, and results other recruiting firms have seen by implementing video interviewing. Review a checklist of tips for successfully implementing video interviews at your firm. Put your firm on a fast track to using video interviews by following our insightful list of questions to answer when getting started.